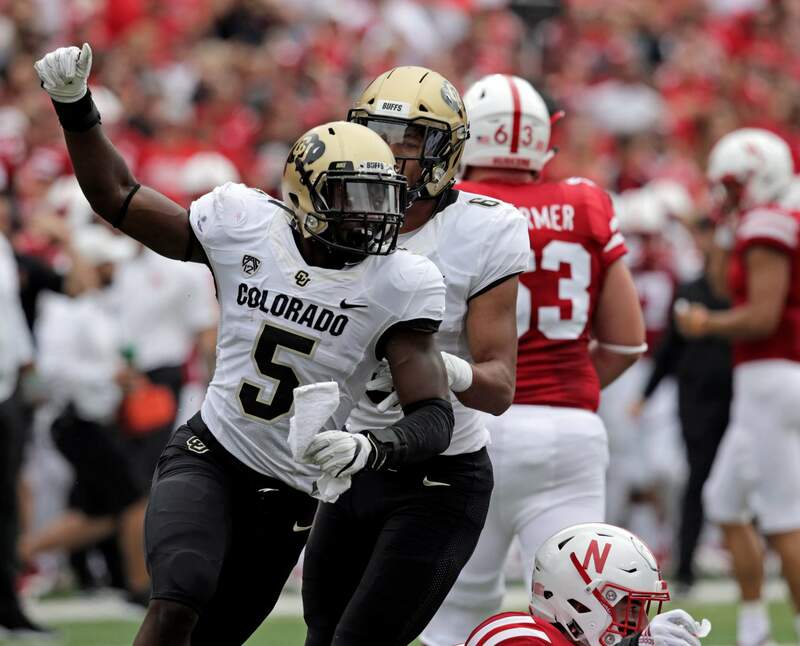 Colorado safety Davion Taylor (5) celebrates after Nebraska quarterback Adrian Martinez, bottom, is tackled during the first half last Saturday’s game in Lincoln, Neb. Taylor recovered a fumble in the 33-28 victory over Nebraska. 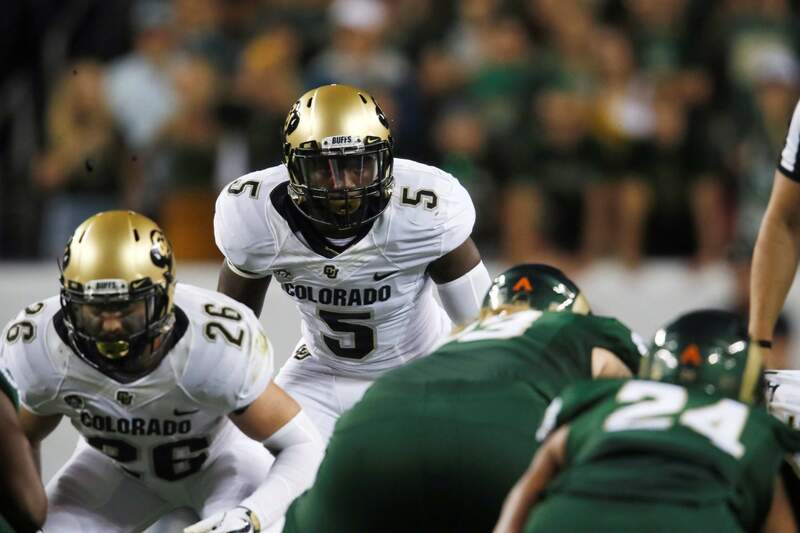 Colorado outside linebacker Davion Taylor (5) waits for the play in the first half of a game against Colorado State, in Denver. Davion Taylor might have been great in high school, if he had played in games, rather than just practiced with his team. Hard to really know. As a Seventh Day Adventist, Taylor honored the Sabbath from sundown on Friday to sundown on Saturday by resting and worshipping. Meaning, he didn’t play in Friday night high school games. BOULDER – Davion Taylor might have been great in high school, if he had played in games, rather than just practiced with his team. As a kid, Taylor frequently attended the youth practices of his friends – just to watch and study the game. When he turned 18, his mom left his path up to him – his decisions were his to make, she said. He wanted to play football on the next level even if that meant playing on a Friday or Saturday. “I told coaches, ‘He’s an athlete. Teach him to play, he’ll be great,’” Culpepper said. To improve on the track, he studies the technique of Jamaican standout Usain Bolt, the world-record holder in the 100 and 200 meter dash.